A modern studio with a NEW SuperKing bed and en-suite bathroom with shower. NEW 47 inch LED TV. In-room kitchen facilities include a ceramic cook-top (electric hob), microwave, toaster, kettle and fridge plus a variety of pots, pans, crockery, cutlery and cooking utensils. Tub chairs, a dining table for two, iron, ironing board and multiple digital TV channels including SKY Movies 1 & 2, Sky Sport 1 & 2 and SKY News make this a practical "home away from home". An electric blanket on the bed and extra pillows and blankets plus a quiet, efficient heater create a warm haven in cooler weather while the verandas and a fan for cooling help keep the room pleasant in summer. Free wireless internet access available in room. A modern studio with a NEW SuperKing bed and en-suite bathroom with shower. NEW 47 inch LED TV. In-room kitchen facilities include a ceramic cook-top (electric hob), microwave, toaster, kettle and fridge plus a variety of pots, pans, crockery, cutlery and cooking utensils. Tub chairs, a dining table for two, iron, ironing board and multiple digital TV channels including SKY Movies 1 & 2, Sky Sport 1 & 2 and SKY News make this a practical "home away from home". An electric blanket on the bed and extra pillows and blankets plus a quiet, efficient heater create a warm haven in cooler weather while the verandas and a fan for cooling help keep the room pleasant in summer. Wireless internet access available in room (2 hours FREE per night booked). A modern studio with a NEW SuperKing bed and en-suite bathroom with shower. NEW 47 inch LED TV. In-room kitchen facilities include a ceramic cook-top (electric hob), microwave, toaster, kettle and fridge plus a variety of pots, pans, crockery, cutlery and cooking utensils. Tub chairs, a dining table for two, iron, ironing board and TV with multiple digital channels including SKY Movies 1 & 2, Sky Sport 1 & 2 and SKY News make this a practical "home away from home". An electric blanket on the bed and extra pillows and blankets plus a quiet, efficient heater create a warm haven in cooler weather while the verandas and a fan for cooling help keep the room pleasant in summer. Wireless internet access available in room (2 hours FREE per night booked). A modern studio with a NEW Super-King bed and en-suite bathroom with wheelchair accessible shower. NEW 47" LED TV! In-room kitchen facilities include a ceramic cook-top (electric hob), microwave, toaster, kettle and fridge plus a variety of pots, pans, crockery, cutlery and cooking utensils. Tub chairs, a dining table for two, iron, ironing board and TV with multiple digital channels including SKY Movies 1 & 2, Sky Sport 1 & 2 and SKY News make this a practical "home away from home". An electric blanket on the bed and extra pillows and blankets plus a quiet, efficient heater create a warm haven in cooler weather while the verandas and a fan for cooling help keep the room pleasant in summer. Wireless internet access available in room (2 hours FREE per night booked). A modern studio apartment with a queen & single bed and en-suite bathroom with a shower. kitchen facilities including a ceramic cook-top (electric hob), microwave, toaster, kettle and fridge plus a variety of pots, pans, crockery, cutlery and cooking utensils. The lounge area has a dining table with seating for three, plus a new 32" LCD TV. Free Wireless internet is available in room. Other room facilities include an iron, ironing board and multiple digital TV channels including SKY Movies 1 & 2, Sky Sport 1 & 2 and SKY News. Electric blankets on the beds, plus extra pillows and blankets and quiet heating, create a relaxing, warm space in cooler weather while the verandas and a fan for cooling help keep the apartment pleasant in summer. A modern one bedroom apartment with a queen bed in the bedroom, new en-suite bathroom with a shower, vanity and toilet. The lounge area has kitchen facilities including a ceramic cook-top (electric hob), microwave, toaster, kettle and fridge plus a variety of pots, pans, crockery, cutlery and cooking utensils. There is a dining table, 2 seat sofa and a 42 inch LED Flat Screen TV in the lounge. Free Wireless internet is available in room. Other room facilities include an iron, ironing board and multiple digital TV channels including SKY Movies channels , Sky Sport 1 & 2 and SKY News. An electric blanket on the bed, plus extra pillows and blankets and quiet heating, create a warm haven in cooler weather while the verandas and a fan for cooling help keep the apartment pleasant in summer. A modern one bedroom apartment with a queen & single bed in the bedroom and a single bed in the lounge. New Bathroom with shower located centrally within the apartment (not en-suite) meaning a guest sleeping in the lounge does not need to walk through the bedroom to access the bathroom at night. In-room kitchen facilities include a ceramic cook-top (electric hob), microwave, toaster, kettle and fridge plus a variety of pots, pans, crockery, cutlery and cooking utensils. Dining table, 3 seater sofa and 42 inch LED Flat Screen Television in the lounge plus a 32 inch LCD TV in the bedroom. Enjoy watching a range of digital channels including SKY Movies channels, Sky Sport 1 & 2 and SKY News. Free wireless internet access available in room. A modern one bedroom apartment with a queen and single bed in the bedroom and two single beds in the lounge. 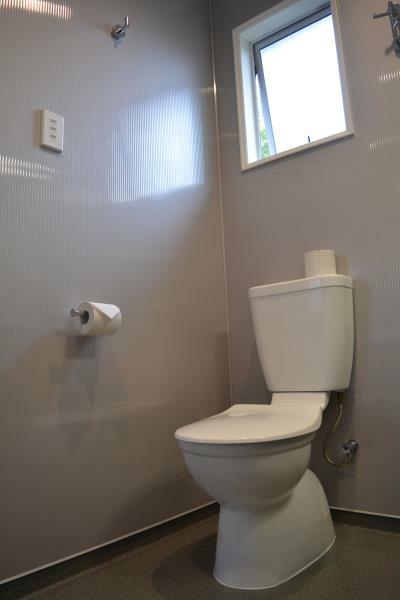 The apartment has a bathroom with shower located centrally within the apartment (not en-suite). In-room kitchen facilities include a ceramic cook-top (electric hob), microwave, toaster, kettle and fridge plus a variety of pots, pans, crockery, cutlery and cooking utensils. The apartment has a 3 seat sofa, dining table (seats 5), 42 inch Plasma TV in the lounge and 32 inch LCD TV in the bedroom with multiple digital channels including SKY Movies channels, Sky Sport 1 & 2 and SKY News. Free wireless internet access available in room. A modern one bedroom apartment with a SuperKing bed in the bedroom and a single bed in the lounge, en-suite bathroom with wet-floor tiled shower (wheelchair accessible). The lounge area has kitchen facilities including a ceramic cook-top (electric hob), microwave, toaster, kettle and fridge plus a variety of pots, pans, crockery, cutlery and cooking utensils. There is a dining table, 2 seat sofa and a 42 inch LED Flat Screen TV in the lounge plus there is a 32 inch LCD TV in the bedroom. Free Wireless internet is available in room. Other room facilities include an iron, ironing board and multiple digital TV channels including SKY Movies channels, Sky Sport 1 & 2 and SKY News. Electric blankets on the beds, plus extra pillows and blankets and quiet heating, create a warm haven in cooler weather while the verandas and a fan for cooling help keep the apartment pleasant in summer. A quiet, spacious Two Bedroom Apartment with a king bed in one bedroom and three single beds in the second bedroom. Kitchen facilities include a ceramic cook-top (electric hob), microwave, toaster, kettle and fridge plus a variety of pots, pans, crockery, cutlery and cooking utensils. The lounge area has a large dining table, 3 + 2 seater sofas and NEW 42" Plasma TV. Free Wi-Fi internet access is available in room. The apartment has a hallway leading from the kitchen and lounge area to the bedrooms and a separate bathroom that has a shower, bath, toilet and vanity. The apartment is equipped with an iron and ironing board and there are electric blankets on the beds plus extra pillows and blankets for your comfort. Multiple digital TV channels including SKY Movies 1 & 2, Sky Sport 1 & 2 and SKY News provide something interesting to watch while relaxing after a great day in beautiful Fiordland.